As of Monday June 18, 2018 I (Philippe Boucher) have agreed to be employed by the Foundation for a Smoke-free World to help organize an online platform to promote tobacco harm reduction and all the objectives of the Foundation. I don't consider myself a Trojan Horse of Philip Morris International or any other tobacco company. 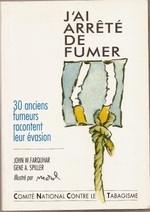 My job did not include the production of THR-rendez-vous that I realize independently without interference or involvement of the Foundation for a Smoke-Free World nor what I write on other blogs like Tobacco Control in Africa or on Twitter. This post is dated October 1rst 2017 so that it does not intrude on the regular publishing chronology of the site but the permalink shows it has been written in June 2018, exactly on Thursday June 20 and it is clearly visible and accessible on the top of the blog. When I produced the previous series of rendez-vous I was financially supported by UICC-Globalink and later by the Robert Wood Johnson Foundation. They never tried to influence the choice of guests, the questions or any content I published. My employment with the Foundation for a Smoke-Free World will be no different. The content of this blog only reflects my own opinions and those of my guests and it does not constitute any endorsement by the Foundation for a Smoke-Free World. My answer: Where does the tobacco money come from? 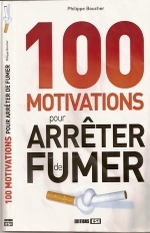 The tobacco money comes from smokers: many of them would like to quit but cannot. It appears despite the cold denial of many people who claim caring about smokers that many people have quit smoking by switching to vaping or snus, products that are much less dangerous to their health. I see no reason for not allowing them access to those products and we should stop demonizing them. As you mention the shame about taking money from the tobacco industry, the biggest culprit are of course the states that collect tobacco taxes, usually using very little of it if any to help smokers quit. I am aware of the situation of people, including children working on tobacco farms: what are you doing about it? I have not seen any conclusive evidence that vaping is a gateway to smoking: what about vaping leading to a decrease in smoking combustibles? What are you proposing except vehemently accusing me of treason? What are you doing? What's wrong with harm reduction? I am sorry that you wish me ill health and as I don't consider this within the limits of civil discourse I took your comment off the comment section but posted it here for everyone interested to ponder.